Eugene thinks of itself as a Green city, but it sounds like Reno may be beating us on this front. They recently installed nine different wind turbines so that the City and the public could evaluate their performance. Reno also has solar power helping to generate electricity. 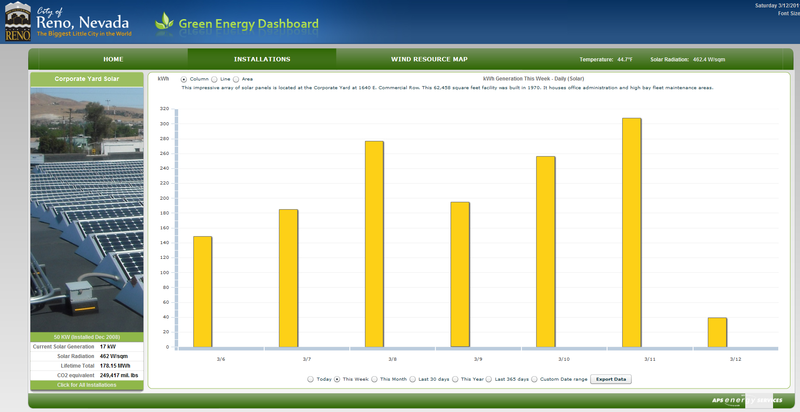 One thing that’s cool about their system is that you can go on-line and look at its power generation real-time. Looks like Eugene has some catching up to do. This entry was posted in Real Estate, Uncategorized and tagged Craig Tomlinson, eugene oregon, Eugene Real Estate, Eugene Real Estate Blog, green power, Lane County Real Estate, Oregon Real Estate, Oregon Real Estate Blog, Real Estate Blog, Real Estate Information, Real Estate News, Real Estate Resource, renewable energy, Springfield Real Estate. Bookmark the permalink.